They say animals have been done to death in picture books. Why then does nearly every second illustrated story I pick up feature talking, singing, skydiving critters of every shape and body-covering-skin type? Because kids adore them, that’s why. The funky demeanours of our animal friends serve not only to relay real-life stories and situations in non-threatening, easy to assimilate ways for young readers, they also ultimately create characters of irrepressible entertainment. 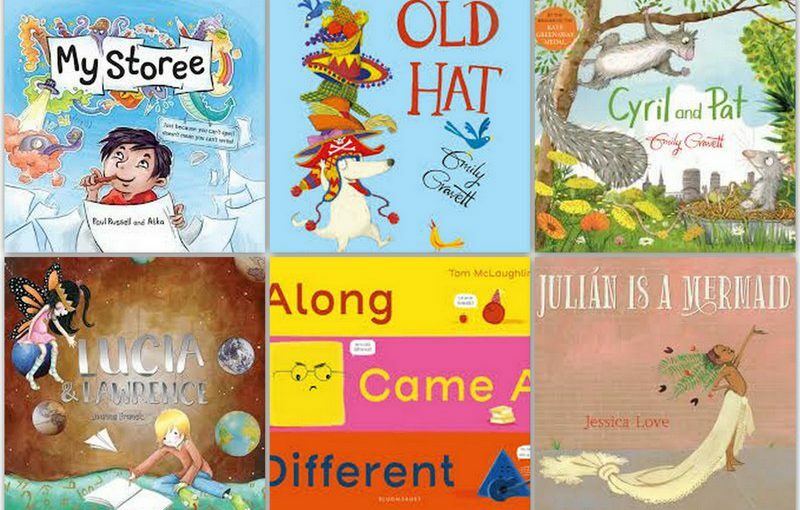 This next selection of recently released picture books ably illustrates this point. 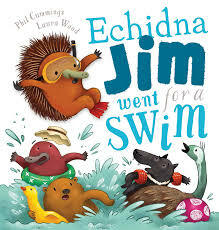 Echidna Jim went for a Swim bristles with fun and frivolity until you realise things are shaping up to end very badly for poor old Jim who just wants to enjoy a day at the beach with his mates. The archenemy of inflatables is of course anything spiky, but Jim is not about to let that ruin his fun. 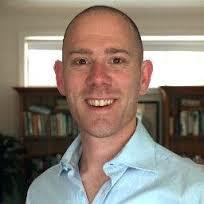 Phil Cummings is known for his poignant, super sensitive picture books. Echidna Jim represents a more quirky, unconventional style for him that nonetheless embraces difference and friendship. I loved Laura Wood’s interpretation of the moon-jumping cow in, The Cow Tripped Over the Moon. Her portrayal of surfing dingoes and soggy cockatoos is just as beguiling. Great for tots over three. Western Australian author illustrator, Kylie Howarth was raised on an emu farm so presumably understands the fevered machinations of our feather-minded friends. 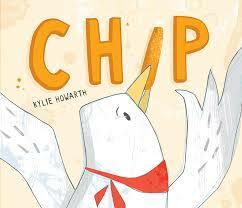 Chip is like most other gulls…he adores fish and chips; can’t get enough of them in fact. Sadly, his obsession leads to total prohibition of all fried foodstuffs from Joe’s Chips Van until one day Chip cooks up an idea involving the rest of his seaside-clan. Together, with a little perseverance and a lot of verve, they convince Joe of their potential sales benefit to him and thus earn a place at his table. This is a deceptively simple book featuring cuter than cute seagull pictures, an extra surprise element within, and the commendable message that human food is perhaps not the best for our wild native buddies no matter how hard they try to convince us otherwise. 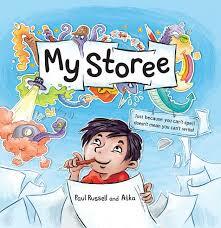 Fun reading for pre-schoolers with the potential to lead to real-life discussions. 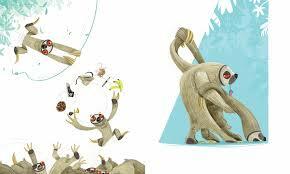 Heath McKenzie is no stranger when it comes to capturing animal antics between the pages of picture books. 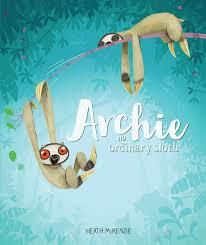 Archie no ordinary sloth, is his latest creation featuring one of my favourites in the jungle, the ebullient sloth. Well, at least Archie is which is what immediately alienates him from the rest of his inactive tribe. Lonely and unable to accept his unsloth-like incongruities, Archie flees and happens upon a group of outcasts whose appearances and attitudes help him turn his own around. They convince him to return to his friends whom he discovers, are in grave danger. Will extra-ordinary Archie save the day? 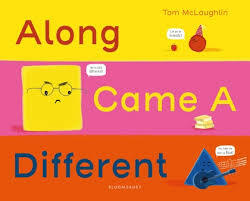 A charismatic little picture book full of McKenzie’s zest-filled drawings, lovable characters, and comical prose perfect for focusing on the usefulness of being different. Not since Goldilocks and the Three Bears have I wanted to doss up under the same roof as a bear so much. 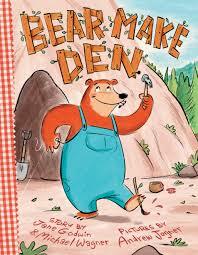 Bear Make Den is the combined effort of Jane Godwin and Michael Wagner and is gloriously illustrated by Andrew Joyner. In a subtle uproarious salute to the home handy man, Godwin and Wagner reveal Bear’s Ikea-inspired side as he blunders through a bout of home renovations. As his den fills with furniture and other home-making necessities such as art and ovens for cake baking, it slow dawns on Bear that there is little point in having a great home if you’ve no one to share it with. 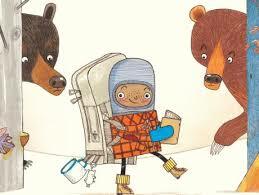 E lementary, bear-like prose roars into life within Joyner’s intelligently drawn pictures. 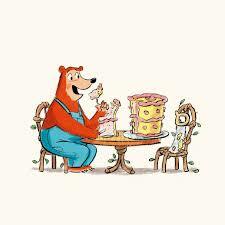 Bear is someone I’d love to share cake with. Bear Make Den is a splendid book to share with toddlers, pre-schoolers, and early primary readers a like because of the scope of its vocabulary, visual story, and suggestion about ‘the value of relationships in making us happy’. 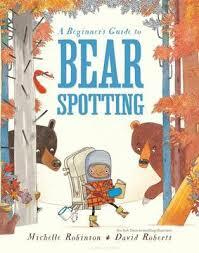 If you’re going to keep hanging around bears, you would be wise to swat up on Michelle Robinson’s and David Roberts’ Beginner’s Guide to Bear Spotting. This big, hulking bear of a picture book is laugh-out-loud funny and constitutes a primary- schooler’s essential guide to surviving a walk through bear country. It patiently takes readers through a series of serious definitions whilst trying to focus young attention spans on the various dangers and attributes of the Black and the Brown bear, which as it turns out, are confusingly similar. By the end, we are none the wiser as to whether bears are truly sweet cuddly teddies in disguise or not, but sufficed to say, we were warned. In spite of the drop-bear being the most fearsome Ursus we Aussies have to contend with, Bear Spotting is still a convincing and very comical read. Robinson’s text is as wry and witty as it was in There’s a Lion in my Cornflakes, while Robert’s drop-dead brilliant illustrations read like a box-office smash. Highly recommended. With its incongruous title, brazen bright yellow cover and be-speckled bun-toting nanna leaping straight at you, this picture book is hard to ignore. I was suitably intrigued and barely aware of the smile creeping across my face as I picked it up. I don’t know many ninja nannas you understand. Actually, I don’t know any, but I am now busting to meet one. 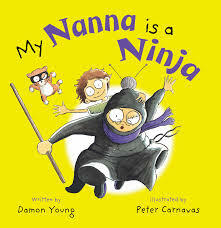 My Nanna is a Ninja introduces readers, young and old, to one of the most fearless, funkiest, formidable, and flexible nannas you’ve ever met. 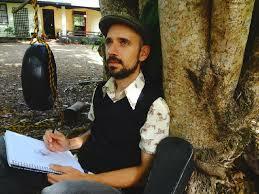 Author and illustrator team, Damon Young and Peter Carnavas are one of those combinations that work. Together, they have fashioned a laugh-out-loud picture book that captures the very essence of Nanna-Dom without once pigeon-holing our ideas of the beloved grandmother. Along with Peter Carnavas’s playfully contemporary illustrations, Damon Young delivers several colourful renditions of the modern day grandma. Some dress in blue. Some sing out-loud in their cars. Others are into high adrenaline pastimes. But our young narrator’s nanna demonstrates her love and affection for him in less conventional ways. She dresses in stealthily black, eats with swords and prefers to juggle ninja stars to watching TV soaps. Yes, she is one nifty nanna, brought beautifully to life by Young’s cheeky rhyming text. Young’s aim to find ‘just the right word for just the right image’ is commendably achieved. He sets the reader up comfortably by comparing three different nannas, each baking apple pies and reading books but then roundhouse kicks nanna-normality into oblivion with nanna-ninja’s extraordinary behaviour. However, we are never left feeling she is anything other than a worthy and loving grandparent, just like any other, only different. Here, black is different and different is cool and kids can’t help but admire that. Carnavas’s gleeful illustrations match the spare text and provide plenty of extra colour and comedy. I love his interpretation of various nannas, at once unique and familiar. And I don’t think he will mind me comparing his own inimitable style with that of Bob Graham’s, which I found quite brilliant. My Nanna is a Ninja is a breath of fresh air celebrating the difference and acceptance of nannas that will ring happy bells with primary school aged readers lucky enough to have grandparents. But I bet, Nanna’s everywhere will develop a case of the chuckles when they read this picture book as well. Whether you are a nanna, nonna, grandma, nanny or gran, make My Nanna is a Ninja the next picture book you share with your grandchildren. Want to see more of Peter Carnavas’s work? 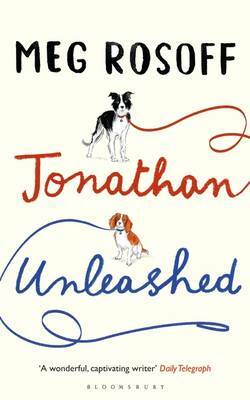 If you are in SE QLD, take the kids along to the Black Cat Café and Book shop for the launch of another of his inspired picture books, Jonathon, Sunday the 30th March.